An excellent water based Treatment for new Teak and Iroko outdoor furniture. 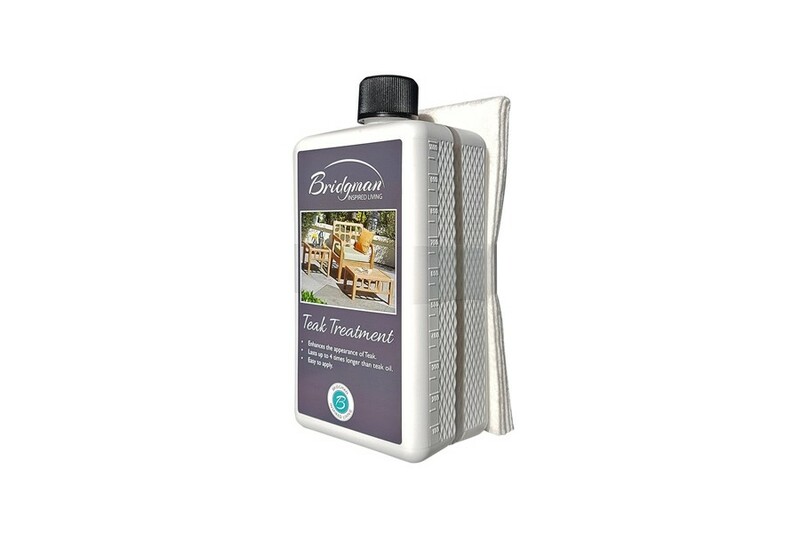 Bridgman treatment is vastly superior to Teak oil lasting up to 5 times longer between applications. Please carefully follow the instructions on the bottle. "Very pleased with the product, with the delivery communications and delivery itself. " 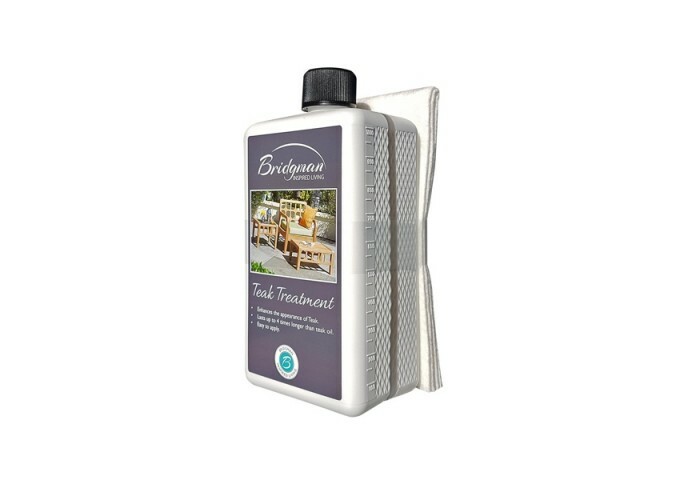 "Bridgman wood treatment is an excellent product which is easy to apply, and looks good. Far nicer than wood varnish."